Saint-Denys, Léon Hervey, marquis d’. Poésies de l’époque des Thang, précédées de l’art poétique et la prosodie chez les chinois. Paris: Amyot, Éditeur, 1862. Provenance: Morris. — Richard Bennett. — Sotheby 1898, lot 235 (part; sold to Tregaskis for 13s.). — Unlocated. Collie, David, trans. The Chinese classical work commonly called the four books. 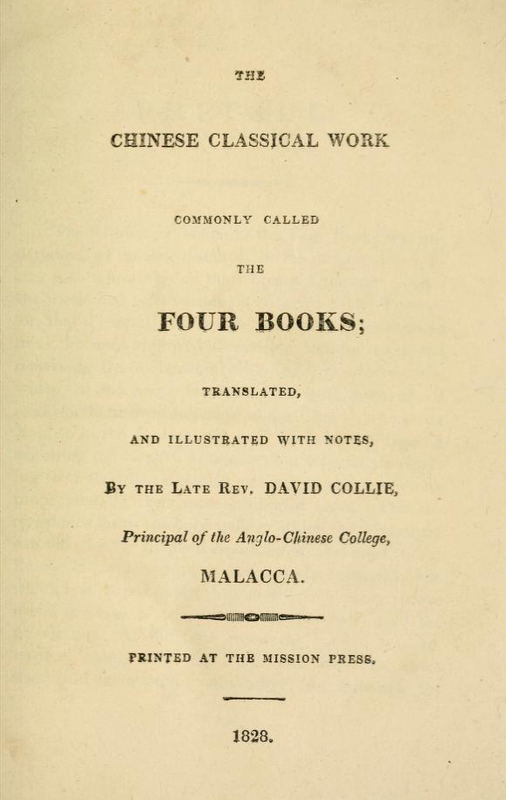 Malacca: printed at the Mission Press, 1828. Reference: MS catalogue (2), no. 36. Jones, Owen. Examples of Chinese ornament, selected from objects in the South Kensington Museum and other collections. 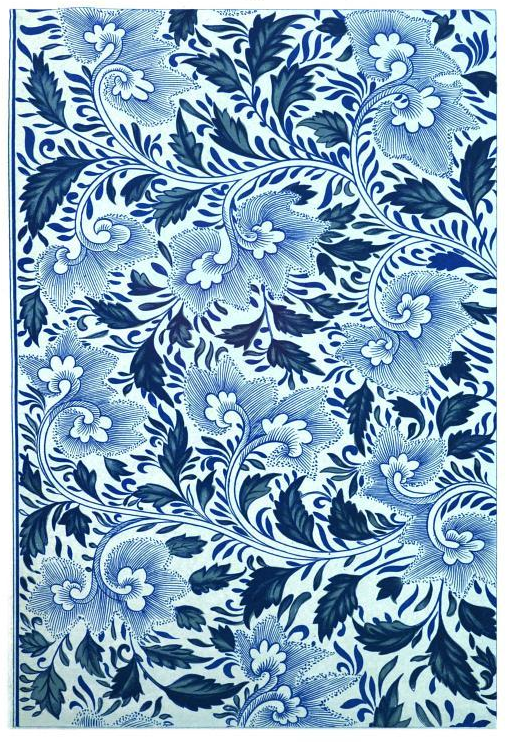 London: S. & T. Gilbert, 1867. Provenance: Morris. — Richard Bennett. — Sotheby 1898, lot 729 (sold to Henry Wellcome for £2 2s.). — Henry Wellcome. — Unlocated. Reference: MS catalogue (2), no. 834.